A financial windfall has many uses for a college student. Extra cash can buy textbooks, groceries or gasoline, make a rent payment, or take care of a visit to the doctor. Pensacola State College student Karen Dennis plans to use a $600 TRIO-Student Support Services (SSS) grant for summer school tuition. The 44-year-old who has returned to the classroom after more than 25 years is one of 15 TRIO-SSS participants to receive the grant funds earlier this semester. 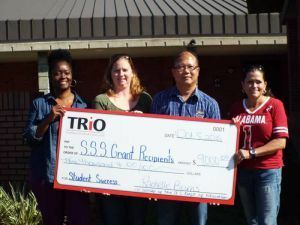 Rachelle S. Burns, director of TRIO-SSS, describes the program as one of Pensacola State’s best-kept secrets, despite attempts to make it widely known. “We do just about everything that we can to ensure our students succeed – except, of course, take their classes for them,” Burns said laughing. “Our tutoring lab is one-on-one and is available evenings and weekends. We also have two advisers – one who is assigned to each participant and will be with them until they graduate. In order to receive grant funds, recipients must have completed two semesters of active participation in TRIO-SSS, which means two contacts with their adviser, utilizing the tutoring lab at least twice each term, participating in either a four-year university visit or cultural event field trip, and completing a financial literacy activity. “Our ultimate goal is to help them to stay in school. And help them reduce the financial stress of attending college,” Burns explained. 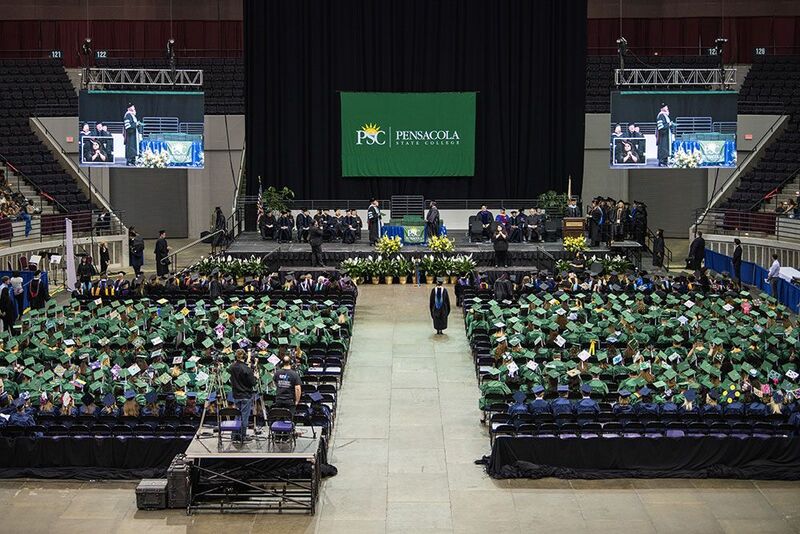 The Pensacola State program currently has 180 students in the program – but can serve up to 225 participants. Along with Burns, the TRIO-SSS office has two counselors: Kimberly Calloway and James Blackwell; Randall Broxton, tutoring lab supervisor; and Penny Taylor, administrative assistant and retention specialist. Since its inception more than 35 years ago, the program has helped more than 4,500 Pensacola State students. Dennis gladly touts the benefits of the program. A 1990 Pensacola High graduate, Dennis said it was at that point, she decided to enroll in college. She admitted choosing a major was a lot easier. “I’ve always loved children and had had custody of two minor-age cousins for a year because their mother had a substance abuse problem. Social work just seemed a natural progression for me,” Dennis said.